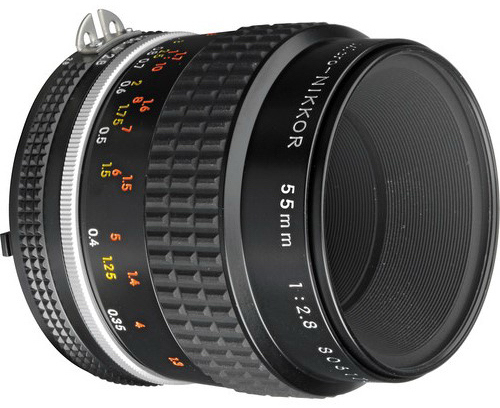 The 55mm f/2.8 Micro-Nikkor is an exceptionally versatile lens. Its f/2.8 maximum aperture is fast enough to make it useful as a general photography normal lens. That same maximum aperture also improves the user’s ability to focus when doing macro applications. 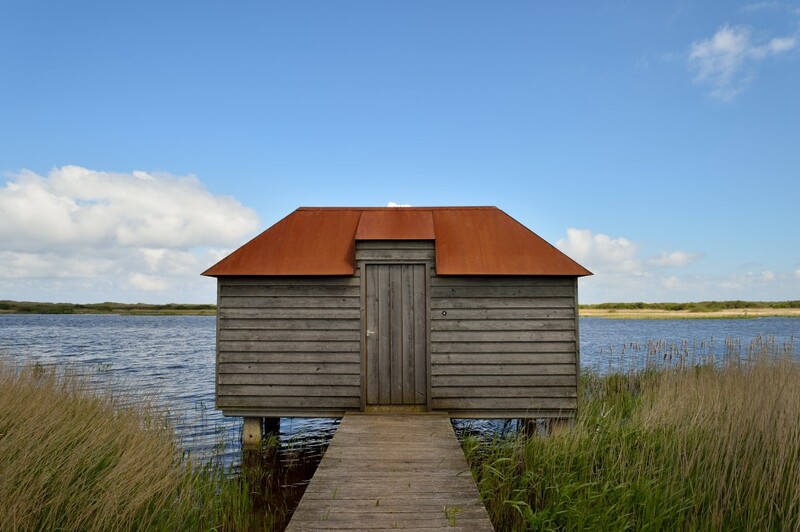 It produces an exceptionally sharp and clean looking image, at all apertures, from f/2.8 to f/32. This lens focuses to a ratio of 1:2 in standard form. This means the lens can represent an item on the film at exactly 1/2 its actual size. It is possible to increase this to 1:1 (life-size) with the optional PK-13 extension tube. 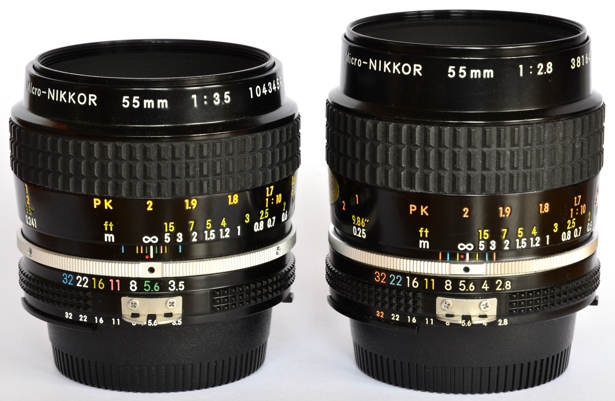 Greater magnifications are possible by using the 55mm f/2.8 Micro-Nikkor on a bellows focusing assembly. 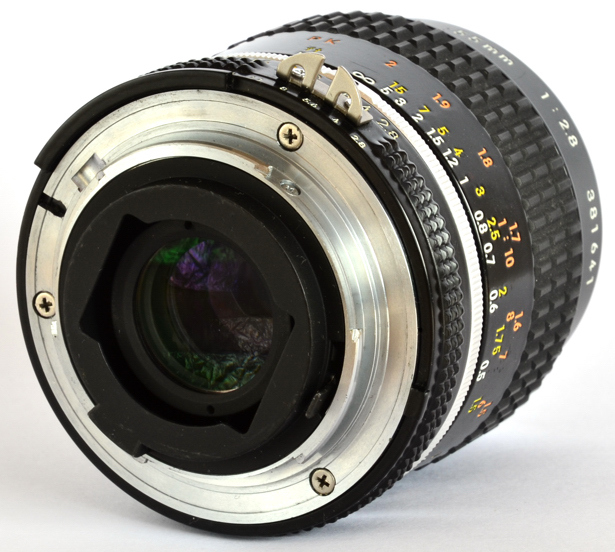 This is a well-made, lightweight lens that produces professional quality images. It accepts 52mm filters and Nikon’s HN-3 lens hood. The hood is only necessary when using filters because the front element is deeply recessed and quite shaded as is.